Guadalajara, a major Mexican city located in the state of Jalisco, has over 30 malls and markets, located throughout the city. The Liberty Market is located right downtown, and is a multi-story network that contains almost everything, separated into themed sections. If you are interested in shopping for cheap movies or music, there are dozens of stands that each have hundreds of bootlegs available for sale. Other sections of this market have fresh produce, electronics, clothing, cowboy boots, sneakers, meats, flowers, traditional carpets and toys. Locals and visitors both frequent this huge market. One level of the market is full of eateries, many of which are centered around seafood. Others are Japanese themed, and many are just simple taco spots. It is common for people in Guadalajara to come here and eat on on Sundays. 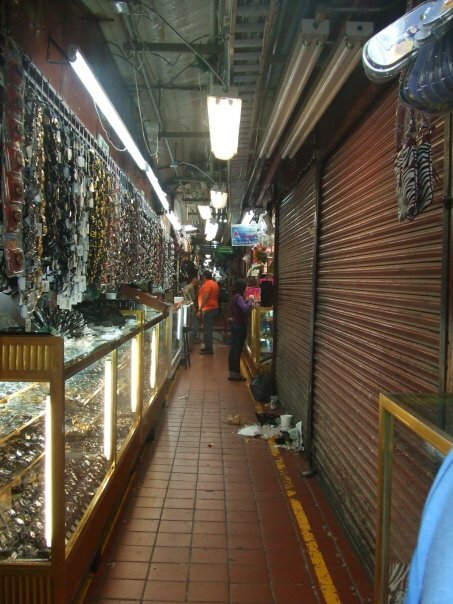 Another market, El Bartilla, is located on the streets and is less official. It is open every Sunday. One part of it is in a network of tents, and has assorted clothing, tools, pottery, electronics and make up for sale. There are also many ladies who make fresh juices out of their smoothies. If you head to the outskirts, some of the merchandise on blankets is a bit questionable. Shoppers will find a selection of broken computer parts, old toys and perhaps even used bottles of mouthwash for sale. 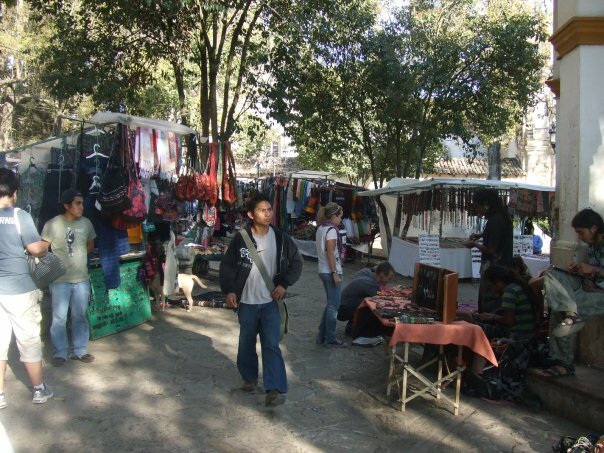 There are two main markets in San Cristobal de Las Casas, which is a small city located in the mountains of Chiapas. 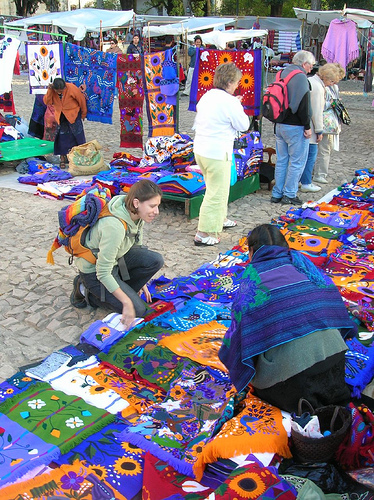 The first market is in the main part of town, near Santo Domingo, and is full of colorful handmade crafts from the local Mayan-speaking population. They sell assorted cloths, scarves, toys, wallets, sculptures and other knit items. There are some colorful embroidered textiles that probably take months to complete. You can sometimes view women weaving the individual cloths right in front of their merchandise. 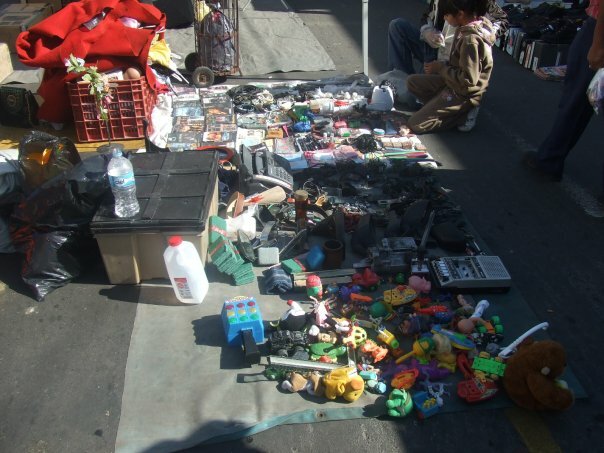 You must haggle at these markets, but nothing is too expensive. If you cannot make it to this craft market in time, there are still individual vendors who walk all throughout the town with their merchandise. Women will carry dozens of handmade scarves, purses, belts, all around their bodies, and perhaps even have a young baby secured around their backs as well! The second market, Tierra Verde, is more centered around food. It contains assorted bakeries, and pastry and butcher shops. They also sell fruits that come straight out of the mountains, such as oranges that still have the stems and leaves on them. It is quite a jam-packed maze through this market, so expect an intense experience. 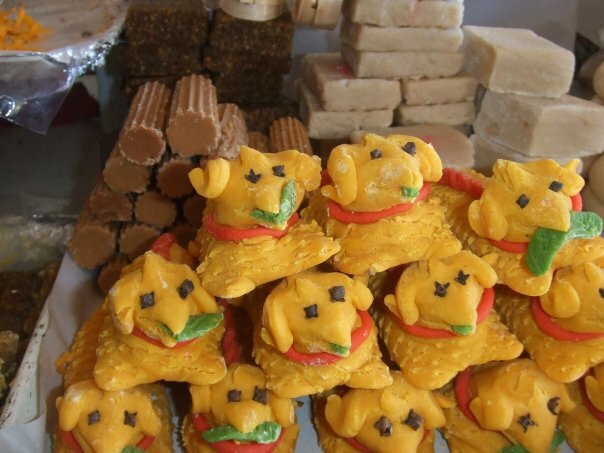 Apart from food, vendors also sell some beauty products, toys and other small items.